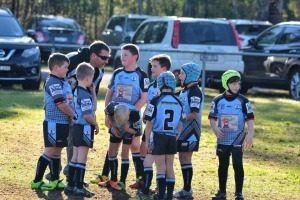 QUAKERS HILL COACH NAMED PENRITH JUNIORS LEAGUE COACH OF THE YEAR!! Season 2018 is just around the corner - with only 7.5 weeks until trials it's time to start getting footy organised! Join the Destroyers Coaches for 2018! Notice: Under 15s 2017 will commence pre-season training on Tuesday 7th February at 7pm, under Coach Meta Tusini. Don't forget to Find and Follow your very favourite LOCAL club on Instagram!! 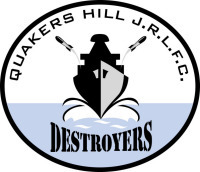 Tag any of your Destroyers pictures with #QHDESTROYERS for a regram! We will be holding some fun competitions soon via the Instragram Page so pop over and make sure you are Following us to be involved! Tag a friend below if you know they are on Instagram to make sure they get up to date! Training with A Twist for Destroyers! Quakers Hill Destroyers Coaching Staff for 2017. Krispy Kreme has combined two delicious treats to make the ultimate dessert! An Original Glazed doughnut + Ice cream & toppings = YUM! Doughnut Sundaes are the new Summer Kraze. Visit Krispy Kreme Penrith to try one today! Come along to Waites Reserve this Sunday 11th October for a fun filled. family day @ the 2015 QHJRLFC Junior Presentation day. Krispy Kreme "Make a Wish"
Introducing the delicious Krispy Kreme Decadent Desserts range! ‘Introducing the delicious Krispy Kreme Decadent Desserts range! Featuring the Tiramisu, Lemon Meringue, Black Forest and New York Cheesecake doughnuts which will leave you wanting more. Inspired by classic desserts these ‘Decadent Desserts’ have all your sweet cravings covered. The Quakers Hill Try Time team joined up with the Brothers Try Team for a training run last Sunday @ Hickeys Lane. ‘Don’t be fooled by what you see! Let your taste buds go wild with a sweet version of your favourite takeaway treats. Krispy Kreme delivery is here! WHERE IS MY TEAM THIS WEEKEND ?